When one flies over 13 hours and loses a day as the plane crosses the International Date Line, it can mean only one thing... Being hangry! Did you think being tired or jet-lagged? Well that too, but for me, I was completely famished especially when the time back in Vancity would be 5 in the morning (I'm used to late night eats after hockey). So after being picked up at the airport, we made our way to my uncle's place at North Point. 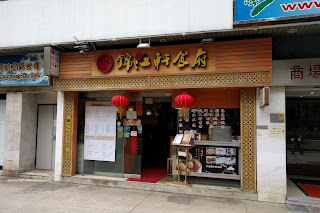 Seeing how it was late already, we merely went downstairs and grabbed some convenient Shanghainese food at Kum Gang Hin. 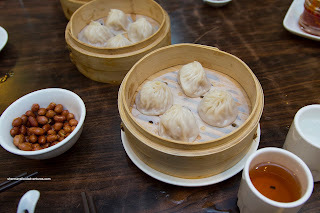 No, this place wouldn't be on any "must eat" list when visiting Hong Kong, but the Xiao Long Bao were pretty decent. We got 3 steamers as they only came in multiples of 4. The best feature about the XLBs was the "Din Tai Fung-esque" dumpling skin where it was thin, chewy and al dente. Inside, the pork filling was rather meaty rather than being processed. There was an adequate amount of soup which was meaty and flavourful with a touch of sweetness. 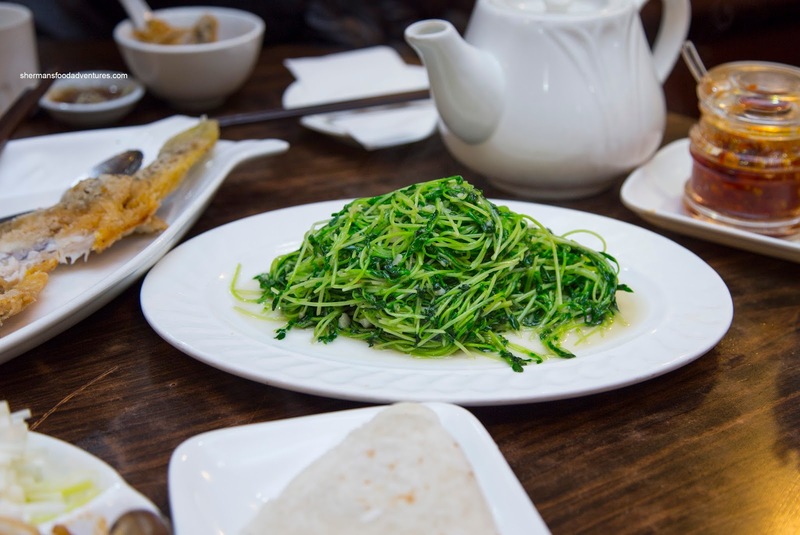 To get some greens into our diet, we had the Stir-Fried Pea Shoots with garlic. These were the smaller and thinner variety that were akin to bigger alfalfa sprouts. They were on point though being crunchy and lightly seasoned. 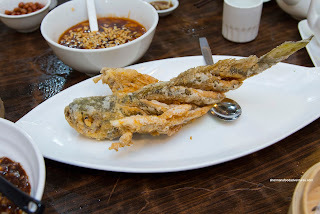 Normally, I don't order Sweet & Sour Fried Fish because I remember sub-par versions from my childhood. Restaurants would deep-fry the heck out of dead fish and slap some sauce on top for those who didn't know any better. However, this was not the case here as the fish was soft and flaky while the outside was lightly crispy. I loved the sauce as the consistency was just right while being appealingly tart with a balanced sweetness. As much as the Hand-Shredded Chicken with soy sauce was simple and featured fairly lean chicken (it was free-range), I kept eating it. I guess the full-flavoured chicken (that we cannot get in Vancouver) was the real draw as the sauce was not that impactful. One dish that I ordered with my son in mind was the Stir-Fried Shredded Pork with crepes. 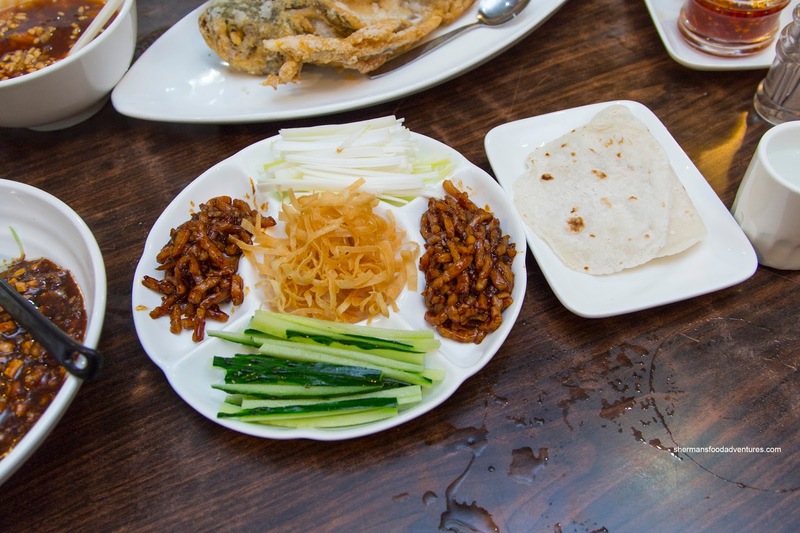 It was attractively plated with julienned cucumber, green onion and wonton crisps. 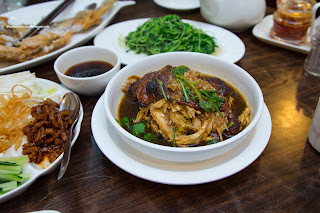 I enjoyed this dish as the pork was super tender while not being too soft. The sweet and lightly spicy sauce barely clung to each piece while the crepes were soft with a slight chewiness and didn't dry out. 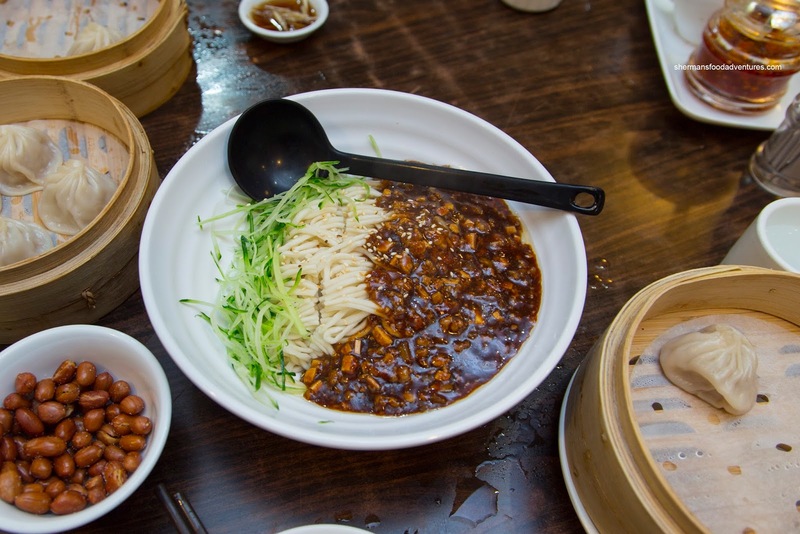 For our noodles, we got the Ja Jeung Mein (Noodles with meat sauce) where the noodles were a bit overdone and clumpy. However, the sauce was on point with a silky viscosity while being meaty and full-of-depth. The thinly sliced cucumber was welcomed as it blended into the noodles easily. 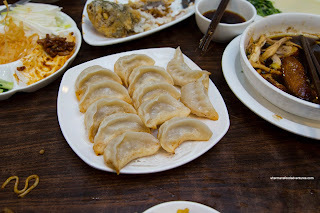 Lastly and probably my most favourite dish were the Potstickers. These were fried up beautifully with a crunchy browned bottom while the rest of the dumpling skin was medium-thick and al dente. I liked how they weren't overly greasy too. Inside, the pork filling was moist, tender and light. It was mildly seasoned where I could still taste the meatiness. Okay, I did state that Kum Gang Hin would probably not be on anyone's top 10 list when dining in Hong Kong. I still think that is true, but if you find yourself in North Point and hungry, you can get some above-average eats here for a reasonable price.